English and Northern Irish buyers drove a flying sale in Castlerea this week with top-quality Charolais stock achieving €1,150 with the weight. According to Castlerea Mart Manager Brendan Egan, the weak euro against Sterling is really helping the trade around his rings at present. “We had a significant amount of English and Northern Irish buyers at the sale this week. 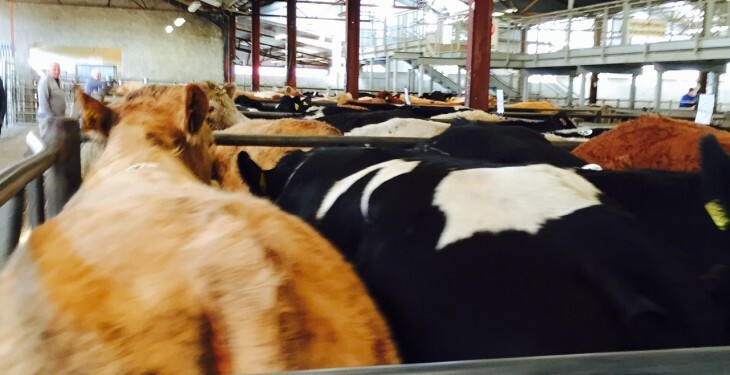 The currency situation is making Irish stock attractive for feedlots in the UK. However, there was still plenty of local farmer interest at the sale, according to Egan. Grass buyers were very active around the ring and competitive as ever, he said. “There is more confidence generally in the trade, certainly compared to this time last year. There is more demand for cattle from factories and it is much easier for farmers to get cattle killed this year. According to Egan, the strong store cattle trade has trickled down to all categories. The weanlings and dry cows were also a good trade at the sale. 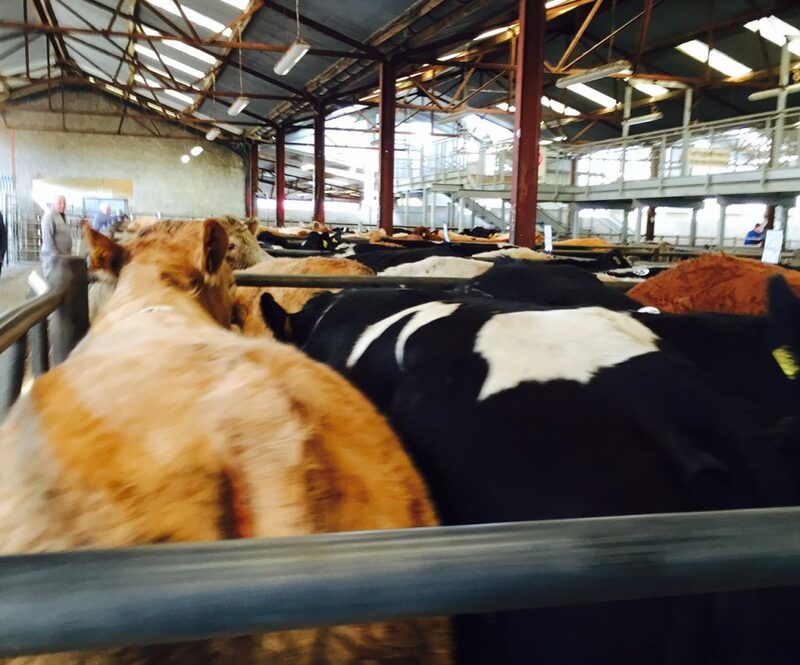 Some 530 cattle were on offer this week in Castlerea with a lot of top-quality cattle presented for sale, according to Egan who said he was quite surprised about the high numbers of stock coming out at this time of the year. Bullocks: Ch 480kg €1,395, Lim 545kg €1,450, Ch 500 kg €1,815, Ch 650kg €1,775. Cows with calves at foot made from €1,100 to €2,050 for a for a Limousin cow and her heifer calf at foot. Springers made from €900 to €1,700 per head. Calves: Numbers on offer still remaining strong with prices ranging from €195 to €700 for stronger continental types. Weanling Bulls: Ch 290kg €930, Lim 275kg €890, BB 405kg €1,200, Lim 350kg €1200, BB 360kg €1,170. Weanling Heifers: Sim 290kg €965, Lim 270kg €890, Ch 235kg €775, Ch 365kg €1,100, BB 330kg €1,060. A sale of organic stock was held in conjunction with our usual sale. Prices ranged from €765 to €1,390 with a full clearance taking place.